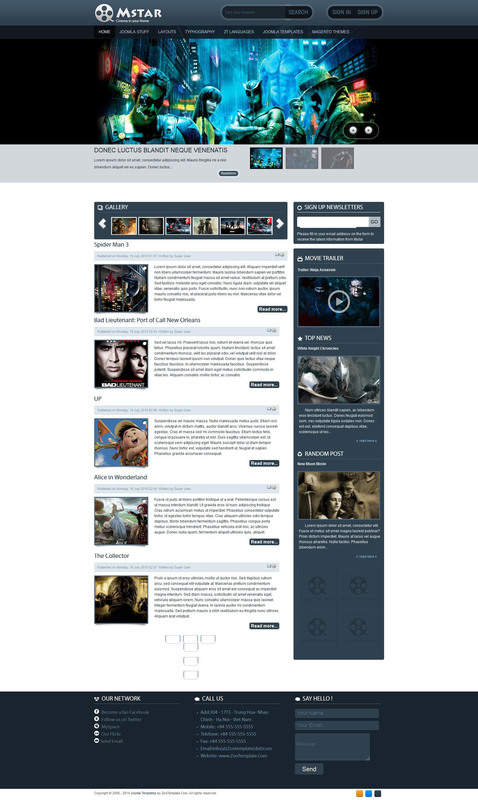 JV Mstar - excellent multimedia portal template for CMS Joomla, developed by a professional team of developers JoomVision. Original template design is great for creating an online video site. Through the use of proprietary platforms, this pattern perfectly optimized, has a fast-loading pages and is fully compatible with all browsers. The presence of built-in support third-party extensions and mobile platforms, greatly increase the potential and possibilities of the template. JV Mstar - great choice for a modern and high quality Internet - projects.